Ethne B is a major importer and supplier of high end fashion accessories to the major clothing and fashion chain stores across South Africa. 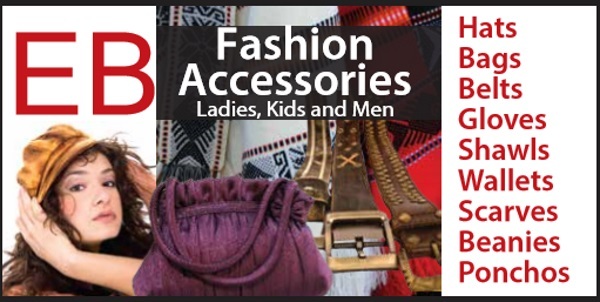 The EB Accessories factory shops have a large number of top quality items available at their factory shops, including overruns, returns and rejects. The whole family is catered for including ladies, kids and men. There are 23 shops, namely the main factory shops in Access Park Kenilworth and a wholesale store in Ndabeni. The wholesale store in Ndabeni is a cash only shop and bulk buyers are more than welcome. Why pay full price at the chain stores when you can get the exact same product at EB Accessories factory outlets for a fraction of the normal price?